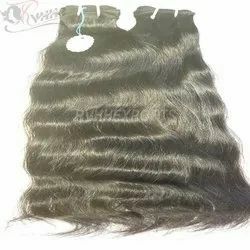 Manufacturer of a wide range of products which include virgin hair raw indian temple hair, raw unprocessed human indian hair, indian remy hair, 9a single drawn remy human hair, 9a premium remy indian hair and indian virgin hair. We manufacture and export best quality Virgin Hair Raw Indian Temple Hair. These all hairs are source from Indian temples. It is best quality hair with natural color, natural movement. It can be bleach and dye very easily. It’s available in 10 to 30 Inch hair lengths. It’s very famous for natural hair. These hairs are 100% tangle free natural human hair. It is cuticle correct raw natural hair. It is single donor premium quality raw hair. Packaging Details: Transparent Poly Bag,You Can Put Your Company Logo in Transparent Poly Bag Very Easily. We Are Leading Preparer of Raw Unprocessed Human Indian Hairwe Supply to Sell Wholesale Indian Hair in India Without Any Mixing. This Hair is Authentic, Remy Virgin Human Hair. We Offer to Sell Low Prices in the Market. We Sell High Quality Indian Natural Hair With Natural Color. This Natural Color Hair Can Be Dye and Bleach to Change the Color of the Hair. It’s Available in 10 to 30 Inch Hair Lengths. It is 100 % Temple Raw Hair. These Hairs Can Be Easily Restyled. It is Natural Human Hair With Natural Shine and Smoothness. We Are Leading Preparer Of indian Remy Hair we Supply to Sell Wholesale Indian Hair in India Without Any Mixing. This Hair is Authentic, Remy Virgin Human Hair. We Offer to Sell Low Prices in the Market. We Sell High Quality Indian Natural Hair With Natural Color. This Natural Color Hair Can Be Dye and Bleach to Change the Color of the Hair. It’s Available in 10 to 30 Inch Hair Lengths. It is 100 % Temple Raw Hair. These Hairs Can Be Easily Restyled. It is Natural Human Hair With Natural Shine and Smoothness. * Lasting Longer Than 2-3 Years With Good Care. 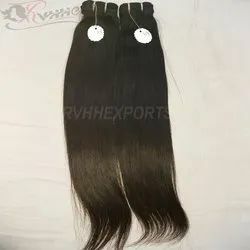 To meet the diverse requirements of our valued clients, we are engaged in manufacturing, wholesaling, exporting and supplying an excellent range of 9aSingle Drawn Remy Human Hair. 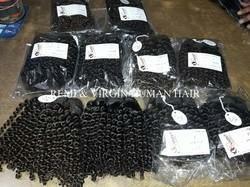 Our provided remy hair is processed by using best quality of virgin hair at our hygienic processing unit. 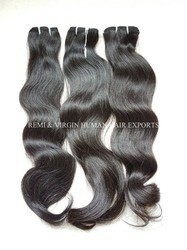 We offer this remy hair in different length and colors as per the varied demand market. The offered remy hair is highly preferred by our global clients for its optimum features like impurity free, shedding proof, tangle free, and more. 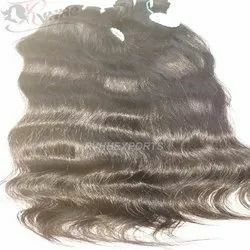 We are leading manufacturer of 9A Premium Remy Indian HairWe supply to sell wholesale Indian hair in India without any mixing. This hair is authentic, remy virgin human hair. We offer to sell low prices in the market. We sell high quality Indian natural hair with natural color. This natural color hair can be dye and bleach to change the color of the hair. It’s available in 10 to 30 inch hair lengths. It is 100 % temple raw hair. These hairs can be easily restyled. It is natural human hair with natural shine and smoothness. We are the manufacturer and Exporter of Indian Virgin Hair . Our range of Indian Virgin Hair is accepted on global scales. Indian Virgin Hair enhance natural appear of the hair style. 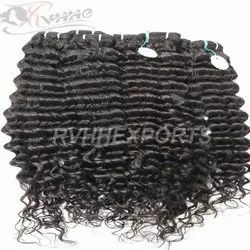 We supply to sell Natural Wavy Human Hair Extension without any mixing. This hair is authentic, remy human hair. We offer to sell low prices in the market. We sell high quality Indian natural hair with natural color. This natural color hair can be dye and bleach to change the color of the hair. It’s available in 8 to 30 Inch hair lengths. This is beautiful Indian Remy hair style extensions. It’s very famous for natural wav style and for silky smooth texture. These hairs are 100% tangle free natural human hair. We are the leading company manufacturing and exporting a wide range of Single Drawn Machine Weft Indian Human Hair. This is natural color natural human hair. its 100% tangle free indian human hair. there is no shedding and no tagling in hair. 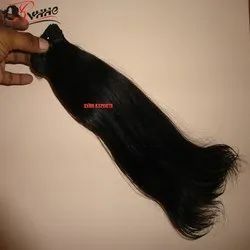 We are the well known company manufacturing and exporting a wide range of Natural Indian Human Hair Weft. we are leading manufacturer of 100% virgin indian remy temple hairwe supply to sell wholesale indian hair in india without any mixing. This hair is authentic, remy virgin human hair. We offer to sell low prices in the market. We sell high quality indian natural hair with natural color. This natural color hair can be dye and bleach to change the color of the hair. It’s available in 10 to 30 inch hair lengths. It is 100 % temple raw hair. These hairs can be easily restyled. It is natural human hair with natural shine and smoothness. We are the leading company manufacturing and exporting a wide range of Natural Indian High Quality Human Hair. We offer to sell low prices in the market. We sell high quality Indian natural hair with natural color. This natural color hair can be dye and bleach to change the color of the hair. It’s available in 8 to 30 Inch hair lengths. This is beautiful Indian Remy hair style extensions. It’s very famous for natural wav style and for silky smooth texture. These hairs are 100% tangle free natural human hair. We are leading manufacturer of 100 Percent Indian Remy Human HairWe supply to sell wholesale Indian hair in India without any mixing. This hair is authentic, remy virgin human hair. We offer to sell low prices in the market. We sell high quality Indian natural hair with natural color. This natural color hair can be dye and bleach to change the color of the hair. It’s available in 10 to 30 inch hair lengths. It is 100 % temple raw hair. These hairs can be easily restyled. It is natural human hair with natural shine and smoothness. 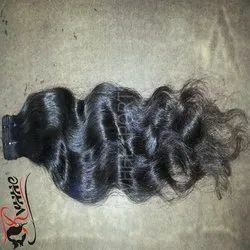 We are leading manufacturer of Natural Human Hair WeftWe supply to sell wholesale Indian hair in India without any mixing. This hair is authentic, remy virgin human hair. We offer to sell low prices in the market. We sell high quality Indian natural hair with natural color. This natural color hair can be dye and bleach to change the color of the hair. It’s available in 10 to 30 inch hair lengths. It is 100 % temple raw hair. These hairs can be easily restyled. It is natural human hair with natural shine and smoothness. 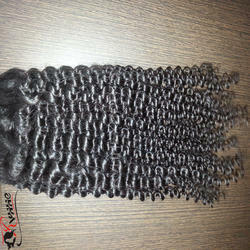 We are leading manufacturer of Human Hair Extension Weave. We supply to sell wholesale Indian hair in India without any mixing. This hair is authentic, remy virgin human hair. We offer to sell low prices in the market. We sell high quality Indian natural hair with natural color. This natural color hair can be dye and bleach to change the color of the hair. It's available in 8 to 30 inch hair lengths. It is 100 % temple raw hair. These hairs can be easily restyled. It is natural human hair with natural shine and smoothness. We are the well known company manufacturing and exporting a wider a wide range of Natural Human Hair Weft. It is 100% human hair. its tangle free natural human hair. there is no shedding in the extensions. We are leading manufacturer of Natural Remy Human Hair ExtensionWe supply to sell wholesale Indian hair in India without any mixing. This hair is authentic, remy virgin human hair. We offer to sell low prices in the market. We sell high quality Indian natural hair with natural color. This natural color hair can be dye and bleach to change the color of the hair. It’s available in 10 to 30 inch hair lengths. It is 100 % temple raw hair. These hairs can be easily restyled. It is natural human hair with natural shine and smoothness. 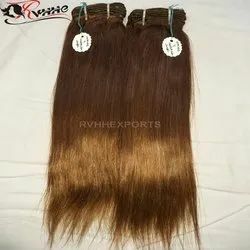 We Are Leading Preparer of Remy Single Drawn Human Hair we Supply to Sell Wholesale Indian Hair in India Without Any Mixing. This Hair is Authentic, Remy Virgin Human Hair. We Offer to Sell Low Prices in the Market. We Sell High Quality Indian Natural Hair With Natural Color. This Natural Color Hair Can Be Dye and Bleach to Change the Color of the Hair. It’s Available in 10 to 30 Inch Hair Lengths. It is 100 % Temple Raw Hair. These Hairs Can Be Easily Restyled. It is Natural Human Hair With Natural Shine and Smoothness. 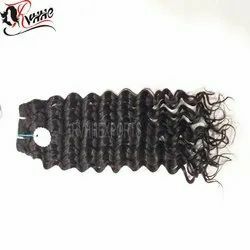 We are leading manufacturer of Remy Machine Wefted HairWe supply to sell wholesale Indian hair in India without any mixing. This hair is authentic, remy virgin human hair. We offer to sell low prices in the market. We sell high quality Indian natural hair with natural color. This natural color hair can be dye and bleach to change the color of the hair. It’s available in 10 to 30 inch hair lengths. It is 100 % temple raw hair. These hairs can be easily restyled. It is natural human hair with natural shine and smoothness. 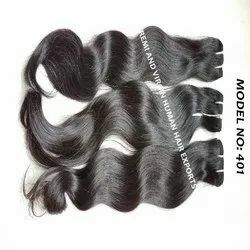 We Are Leading Preparer of Premium Indian Human Hair We Supply to Sell Wholesale Indian Hair in India Without Any Mixing. This Hair is Authentic, Remy Virgin Human Hair. We Offer to Sell Low Prices in the Market. We Sell High Quality Indian Natural Hair With Natural Color. This Natural Color Hair Can Be Dye and Bleach to Change the Color of the Hair. It’s Available in 10 to 30 Inch Hair Lengths. It is 100 % Temple Raw Hair. These Hairs Can Be Easily Restyled. It is Natural Human Hair With Natural Shine and Smoothness. Packaging Details: Transparent Poly BagTransparent Poly Bag,You Can Put Your Company Logo in Transparent Poly Bag Very Easily. 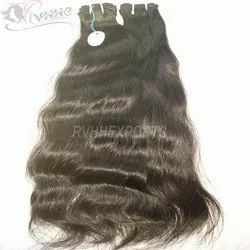 We are leading manufacturer of Indian Remy Machine Weft Human HairWe supply to sell wholesale Indian hair in India without any mixing. This hair is authentic, remy virgin human hair. We offer to sell low prices in the market. We sell high quality Indian natural hair with natural color. This natural color hair can be dye and bleach to change the color of the hair. It’s available in 10 to 30 inch hair lengths. It is 100 % temple raw hair. These hairs can be easily restyled. It is natural human hair with natural shine and smoothness. We are the well known company manufacturing and exporting a wide range of Single Drawn Remy Human Hair. This hair is authentic, Remy human hair. We offer to sell low prices in advertise. We sell high excellence Indian natural hair with natural color. This natural color hair and can be bleach to change the color of the hair. It’s available in 8 to 30 Inch hair lengths. This is beautiful Indian Remy hair style extensions. It’s very prominent for natural wav style and for silky smooth texture. These hairs are 100% tangle free natural human hair. This hair can be restyle and color. We are the leading company manufacturing and exporting a wide range of Indian Remy Straight Human Hair. This natural colour hair can be dye and bleach to change the colour of the hair. It's available in 8 to 30 Inch hair lengths. This is beautiful Indian Remy hairstyle extensions. 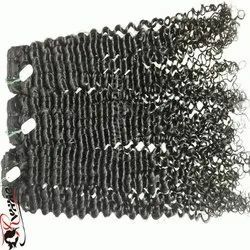 It's very famous for natural wavy style and for silky smooth texture. These hairs are 100% tangle free natural human hair. it's 100% nits and lice free human hair extensions. 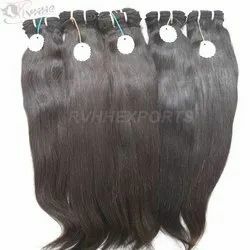 We are leading manufacturer of Best Indian Remy HairWe supply to sell wholesale Indian hair in India without any mixing. This hair is authentic, remy virgin human hair. We offer to sell low prices in the market. We sell high quality Indian natural hair with natural color. This natural color hair can be dye and bleach to change the color of the hair. It’s available in 10 to 30 inch hair lengths. It is 100 % temple raw hair. These hairs can be easily restyled. It is natural human hair with natural shine and smoothness. We are leading manufacturer of Indian Temple Human HairWe supply to sell wholesale Indian hair in India without any mixing. This hair is authentic, remy virgin human hair. We offer to sell low prices in the market. We sell high quality Indian natural hair with natural color. This natural color hair can be dye and bleach to change the color of the hair. It’s available in 10 to 30 inch hair lengths. It is 100 % temple raw hair. These hairs can be easily restyled. It is natural human hair with natural shine and smoothness. 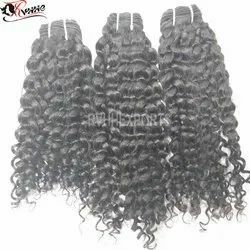 We are leading manufacturer of Indian Remy Human Hair Machine Weft.We supply to sell wholesale Indian hair in India without any mixing. This hair is authentic, remy virgin human hair. We offer to sell low prices in the market. We sell high quality Indian natural hair with natural color. This natural color hair can be dye and bleach to change the color of the hair. It’s available in 8 to 30 inch hair lengths. It is 100 % temple raw hair. These hairs can be easily restyled. It is natural human hair with natural shine and smoothness. We are the leading compoany manufacturing and exporting a wide range of Single Drawn Extensions Hairs. This natural indian remy human hair. its natural color sliky smooth hair. We are the well known company manufacturing and exporting a wide range of Machine Weft Indian Hair. These hairs are 100% lice and nits free. 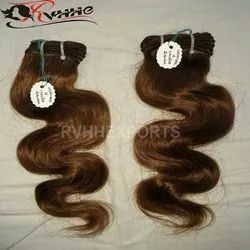 We are leading manufacturer of Indian Remy Hair WeaveWe supply to sell wholesale Indian hair in India without any mixing. This hair is authentic, remy virgin human hair. We offer to sell low prices in the market. We sell high quality Indian natural hair with natural color. This natural color hair can be dye and bleach to change the color of the hair. It’s available in 10 to 30 inch hair lengths. It is 100 % temple raw hair. These hairs can be easily restyled. It is natural human hair with natural shine and smoothness. We are the leading company manufacturing and exporting a wide range of Machine Weft Indian Hair. We Are Leading Preparer Ofhigh Quality Human Hair Extension we Supply to Sell Wholesale Indian Hair in India Without Any Mixing. This Hair is Authentic, Remy Virgin Human Hair. We Offer to Sell Low Prices in the Market. We Sell High Quality Indian Natural Hair With Natural Color. This Natural Color Hair Can Be Dye and Bleach to Change the Color of the Hair. It’s Available in 10 to 30 Inch Hair Lengths. It is 100 % Temple Raw Hair. These Hairs Can Be Easily Restyled. It is Natural Human Hair With Natural Shine and Smoothness. We are leading manufacturer of Raw Virgin South Indian Temple Hair. We supply to sell wholesale Indian hair in India without any mixing. This hair is authentic, remy virgin human hair. We offer to sell low prices in the market. We sell high quality Indian natural hair with natural color. This natural color hair can be dye and bleach to change the color of the hair. It’s available in 8 to 30 inch hair lengths. It is 100 % temple raw hair. These hairs can be easily restyled. It is natural human hair with natural shine and smoothness. Lasting Longer Than 2-3 Years With Good Care. We are leading manufacturer of Natural Raw Indian Temple Hair. We supply to sell wholesale Indian hair in India without any mixing. This hair is authentic, remy virgin human hair. We offer to sell low prices in the market. We sell high quality Indian natural hair with natural color. This natural color hair can be dye and bleach to change the color of the hair. It’s available in 10 to 30 inch hair lengths. It is 100 % temple raw hair. These hairs can be easily restyled. It is natural human hair with natural shine and smoothness.